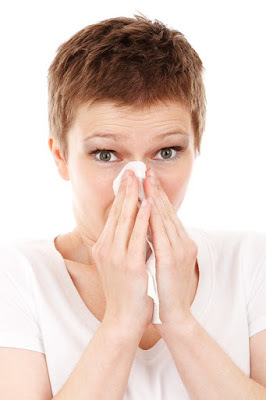 Keeping your home super-clean and free from allergy causing agents can seem like a tall task. We are surrounded by allergens but with underfloor heating, the opportunity for allergens to become embedded in the home is a lot less. Find out with this article from Underfloor Heating Trade Supplies how this heating system will make a difference. Underfloor heating, despite being seen by some as a new technology, has been around for centuries. Ancient civilisations soon realised the benefits and cleanliness of lighting fires beneath the floor and heating water so that it could circulate beneath their feet. The Romans developed the system in their bath houses with the system of heating a space falling out favour once the Roman Empire collapsed. But what does this mean for the modern home and for families with children who suffer from asthma? It seems that underfloor heating could make a big difference for two main reasons. Before we discuss the type of heat that underfloor heating is, we first need to appreciate what is a common trigger for asthma attacks – dust. Dust, dust mites and other allergens all float around in the air around us, unseen and for many of us, undetected. For those children with asthma, dust and other allergens cause the small sensitive airways of the lungs to react. Hyper-sensitive, the small airways become inflamed, causing the amount of space that air has to pass through to narrow. This leads to shortness of breath which can be a mild attack to severe. Clearly, reducing the number of allergens and other triggers is good news for anyone with asthma. How you heat your family home will make a difference to asthmatic children. Underfloor heating is a heat that radiates into a room. In a water based underfloor heating system, the hot water circulates through plastic pipes which in turn, heat the screed casing around it. This heats is then conducted by the top layer of flooring into the room above. The objects in the room – including you – are then heated by the heat spread across the whole of the floor area. But how is this different from radiators and central heating system? Radiators heat the air in a room. Hot air rises and then falls as it cools, with this cycle repeated several times. And, as the hot air moves and falls, it also moves dust, dust mites and other microscopic allergens around. As your children play or sit in a room, they will be breathing in this dust-laden air. This hot air is also dry and this too, can affect our breathing as well as comfort levels. Underfloor heating radiates up from across the entire floor and now that you understand the benefits of this, you will also appreciate how the top layer of flooring is also beneficial in reducing the allergens and dust in your home. Carpet has, for a long time and for many people, been the flooring of choice. And no wonder – appealing to the eye and warm underfoot, a carpet adds texture and warmth to a room. But it has a downside. Its fibres are dense and humid. They make the perfect hiding places for dust mites, the common cat flea and other microscopic detritus. You may have the latest vacuum boasting all kinds of wonderful technology, but no vacuum rids carpeting or rugs completely of dust, dust mites and so on. In other words, the very things that can trigger an asthma attack or cause a nuisance to those who suffer from allergies, live in the carpet beneath your feet and in some cases, in soft furnishings too. Underfloor heating is compatible with carpet with a TOG rating of less than 1.5. However, most people who invest in underfloor heating choose a hard flooring solution that has a higher level of conductivity. This means that the room heats far quicker and keeps holds of the heat for longer. With hard flooring, there are no hiding places for dust, dust mites and fleas. They can be easily swept away and the floor kept very clean with a daily or occasional mop. If you have pets and pet hair is a nuisance for your asthmatic child, it is quickly and easily removed, as are a whole host of other, unseen allergens. Even if you don’t have asthma or an asthmatic child, underfloor heating is a far gentler and kinder heat, making your home far more comfortable. Underfloor Heating Trade Supplies is the one-stop shop for everything to do with underfloor heating, from installation to specialist tools and components.